These California value Best Buy Wines are under $20 and are widely available in the San Francisco Bay Area. We did not put a vintage date on these wines because year after year the quality remains. Always try one or two bottles before making a big purchase. The price of the wine is the average sale price and not the suggested retail price. 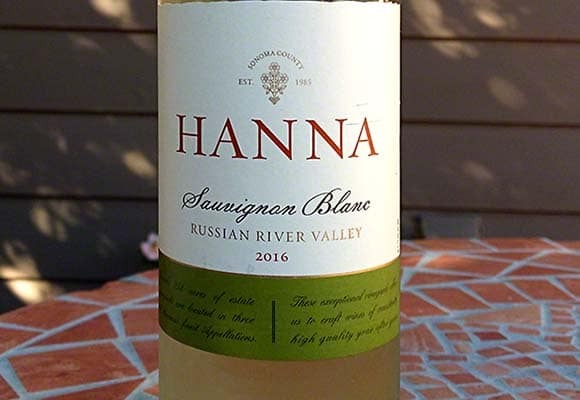 We show the stores that carry the wines as of March 2019. Tasted and judged by the Vintage Wine Tasters. Lovers of good Pinot Noir should get a few bottles of the Pickett Fence Pinot Noir at Trader Joe’s. It is a lovely bright red color with generous aromas of flowers and berries. True to its grape the wine is medium bodied and carries a long finish due to good acidity. It is perfect foil for all traditional PN foods: light cheeses, salmon, lamb, lightly seasoned meats and first courses without too much salt. At $9 a bottle this is a wonderful wine. DO NOT BUY THE CHARDONNAY—- IT IS OXIDIZED AND LOW IN ACID. 1) They are a leader in the Under $20 market. 3) Their Zin and Merlot are the equal of most wines above that price point. 4) Their white label series is over priced and only offers more oak and a few different varietals. 5) Ancient Peaks is a top flight winery who have made a decision to provide the market with high quality wine at a resonable price. 6) Their tasting room south of Paso Robles is the only one in town and worth the drive if you are going south of PR. 7) Look for their wines in Costco in the future- they appear to want space and are willing to drop price to increase sales. I was so put off by the Pickett Fence Chard I never tried the Pinot. Duh! I still see the Picket Fence Pinot Noir at my TJ’s in Millbrae. I recently went to Carneros/Sonoma with friends and went to Sebastiani’s tasting room for the first time. We tried their Sonoma Coast Pinot Noir 09. It was on their non-“Gold” tasting menu for $16.99 a bottle. We all left with one. It’s a solid representation of the better Pinot Noirs from that area: light, smokey, and lean. Their club member prices were even better than that. I was really surprised by that one. It reminded me of the A to Z Pinot Noir out of Oregon. A great wine at about $21, this was just as memorable and more than a few dollars cheaper. That is good to hear. With new ownership it seems like the winery is on the right path. That you apparently can’t think of a single reliable under $20 wine from France, Spain, Italy, Germany, or Austraila tells your readers all they need to know about the extent of your expertise. Perhaps you did not have a chance to read any of the blog posts. The good majority of wines we recommend are from France, Italy, Spain, Chile, and Argentina. There are also a few from New Zealand and Australia. Please read through the blog posts. Thanks for your comment. Will has an attitude problem. That or he does not read. Sorry, but I’m having a hard time figuring out how “Will has an attitude problem.” His comment is spot on. Did you look at the list? I wish you and Will would read our individual blog posts. We have recommended many wines from all over the world. Take some time to read this. You might find some of them worth buying for yourself. Cheers, Joe and the boys. Doesn’t change the clear fact that your front-page, top-of-the-fold link to can’t miss wines under twenty totally ignores anything not from California. Seems to me at least possible that you get feedback (the green kind) from some of these turkeys or else why push their stuff so transparently. This is my hobby. I am retired and enjoying life at its best. Not to worry, I’m not getting any green from any wineries or distributors. I do on occasion make a few cents from the Google Adsense network. I hope that helps and thanks for reading our blog. Then maybe make a similar list by country for future posts. Also a fun idea since we are entering spring would be a recommended rose list. There are so many quality wines from all over the world. Portugal has an amazing amount of wine that just never gets placed in retail shelves. Their problem is image since people are not willing to take a gamble on a varietal or winery they have never seen or heard of.. The best thing to do is continue to write about wines that excite you and spread the word. The Bogle Essential Red is delicious this year and under $10.00 a bottle around the Bay Area. Get this: found it on sale in Utah State Liquor Store on sale for $7.00 a bottle. It is a long drive for a bargain though. Thanks for the awesome recommendations! I was wondering if you’re been able to try any of the recent Cameron Hughes wines? I know you reviewed a lot of the in 2014 (but those are all sold out) and wanted to see if you had any more recent recommendations. Btw, I love that you notify us when Costco offers a rebate! It’s that added incentive to already great prices! My post on Petite Sirah I recommend the Cameron Hughes Petite from Oakville.